Our Assistants Certificate Courses are perfect for anyone wanting to become a Montessori classroom assistant or for anyone wanting to explore a different Montessori Educational stage. These courses provide an introduction to Montessori Child Psychology and Child Development, to Educational Theory and Practice Observation, and are focussed on the approach taken for the particular age range chosen. This course is offered in association with Montessori College Dublin. 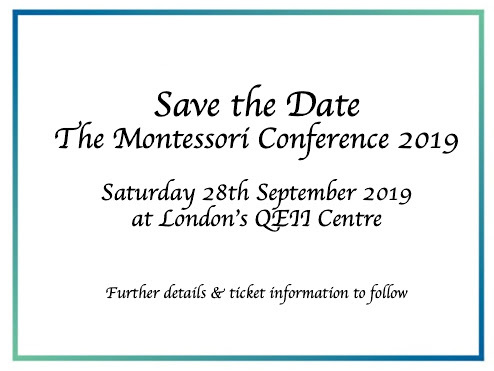 The conference will take place on 28th September 2019 at one of the UK's most prestigious conference spaces - London’s QEII Centre, in the heart of Westminster. Accessed by studying for a final year with the University of East London, after completing the Foundation Degree Modules.